The Big Takeaway: With Vic Joseph from NXT leading the announce team, TJP beat Gran Metalik in the opening bout, while Rhyno and Heath Slater picked up a win against the begrudging combination of Curtis Axel and Curt Hawkins. TJ Perkins, now "TJP," doesn’t seem to be a perfect fit as a heel. His gimmick is perhaps more annoying than it is heelish. He comes out here against Gran Metalik and other than a curl of his upper lip, his entrance is just as it was when he first came to the main roster last year. After a slow start, they put on some good wrestling. They previously faced off in the finals of the Cruiserweight Classic last year, where Perkins became Cruiserweight Champion. Rest holds and TJP’s attempts to thwart any high flying from Metalik soon give way to these two reverting to type and doing what they do best. After TJP’s suicide dive to the outside, Metalik does a beautiful ropewalking dropkick and then hits a top rope splash for a near fall. TJP rolls out of the way of a moonsault and hoists Metalik onto his shoulders and hits his Detonation Kick for the win. 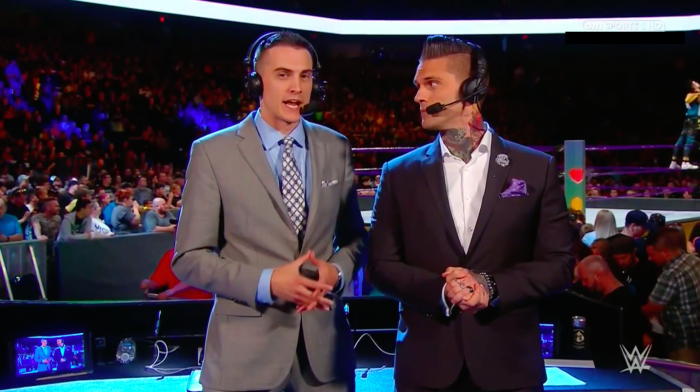 These are the kind of undercard performers it's fun to watch before an episode of Raw. 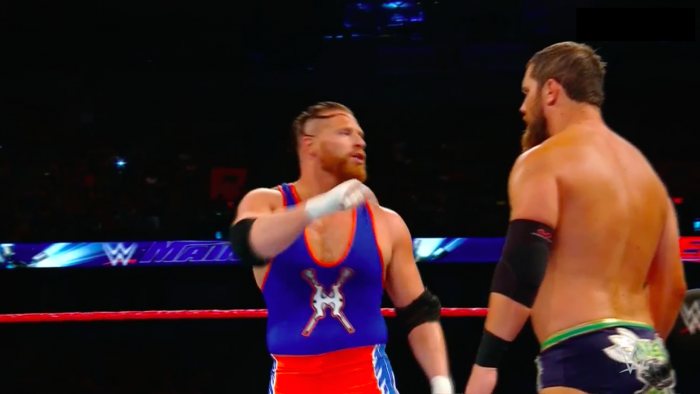 Curt Hawkins has had a string of appearances on Main Event over the last few weeks. His entrance complete with his "heaping helping of Hawkins" is the kind of stuff The Miz was attempting to get over before he was given a push. And Hawkins has the in-ring ability to match his promos. The story of the match is that Hawkins and Axel don’t really get along but are still very effective. Slater works most of the match, with Rhyno waiting for the hot tag. Axel and Hawkins keep blind tagging in as they tease dissension early on. But they cut the ring in half and keep Slater as the babyface in peril. The match isn’t too much to write home about as Axel and Hawkins transition from one chinlock to the next, but Hawkins is very neat and tidy and doesn’t waste too much movement. The finish sees Slater give the hot tag to Rhyno. He nails Axel and covers him for a near fall before Hawkins makes the save. Slater superkicks Hawkins and springboards over the top rope onto him on the outside. Inside the ring, the distraction allows Rhyno to spinebuster Axel for the win.